Following the largely one-sided victory in Apple v. Samsung last week, the Korean company reportedly held an emergency meeting over the weekend to discuss how the ruling might affect the relationship between the two companies. Bottom line: Nothing will change — at least on the component side. According to Reuters, some of Samsung's top brass met to make clear that there remains "a strict internal firewall between its handset business and its components operations." Ultimately, the relationship between the two is too valuable — worth billions a year — from a business perspective. 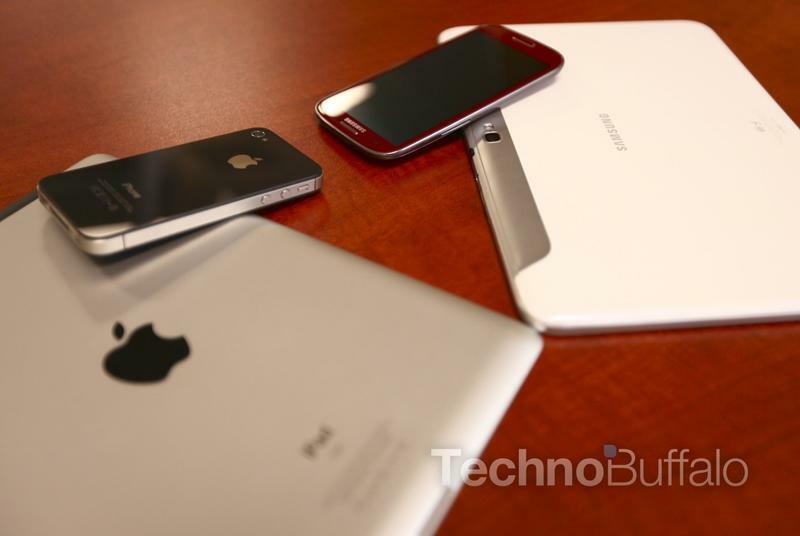 "Apple needs Samsung to make the iPhone and iPad. Period," said KDB Daewoo Securities analyst James Song. "Samsung is the sole supplier of Apple's processing chips and without Samsung, they can't make these products. Samsung might be considering lots of options to leverage its components business' importance and pressure Apple, and Apple could be well aware of this." Even with comments suggesting the two companies will continue working with one another, the fighting seems to certainly be taking its toll; the two have slowly begun to seek alternatives to reduce reliance on one another, Reuters said. For now, it sounds like Apple and Samsung are willing to continue putting on smiling faces — keep your friends close, and your enemies closer.